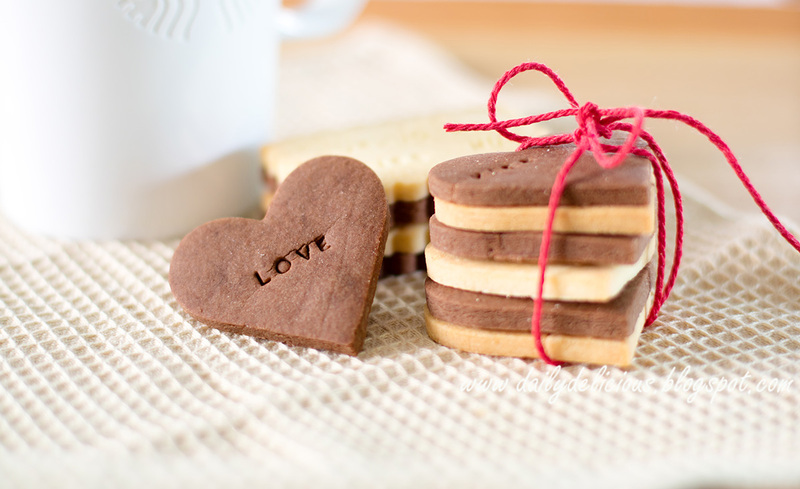 This year, I didn't have so much time to prepare the Valentine menu, well spent most of my time in Japan already, haha. 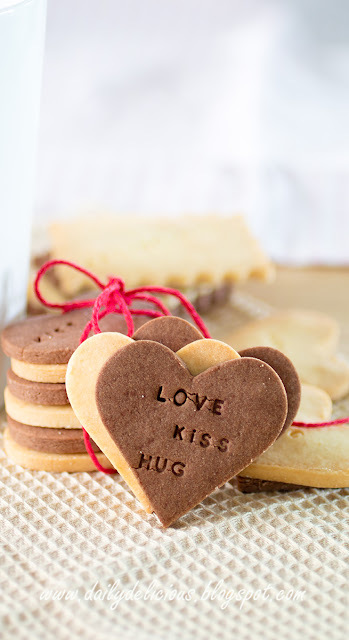 So the best way is to make something cute without taking a load of time, and cookie is my answer! 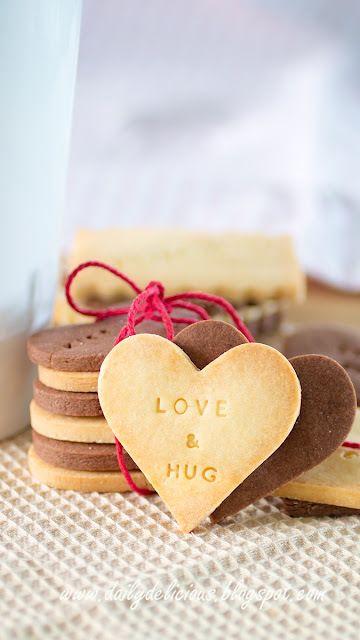 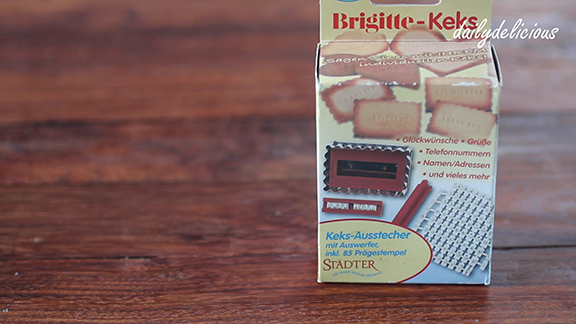 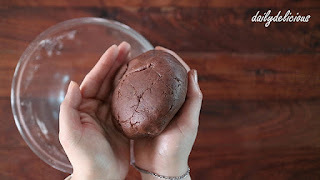 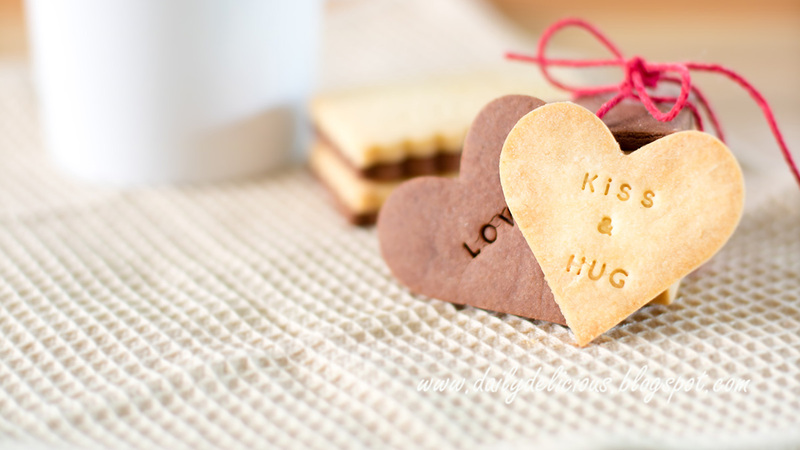 This cookie is very easy to make, with melt butter, it's easier to control the texture of it. 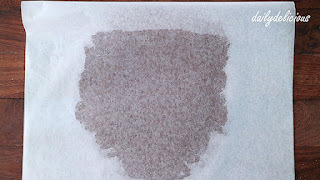 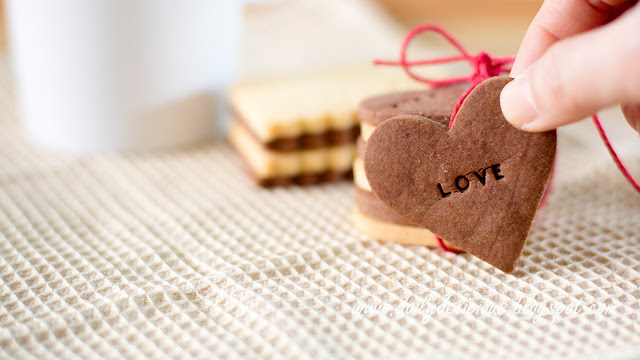 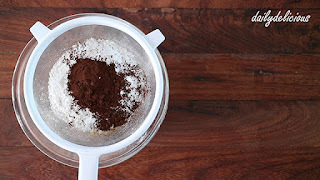 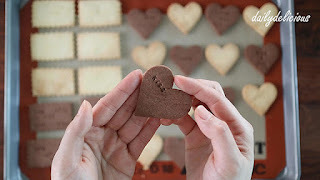 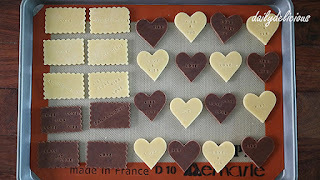 But using cake flour is recommend, it contains less protein than other kind of flour, so your cookie won't become hard. 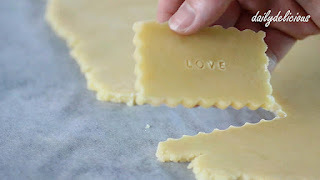 The dough doesn't melt quickly, so you can take your time when cutting and stamping until you get the right shape and style. 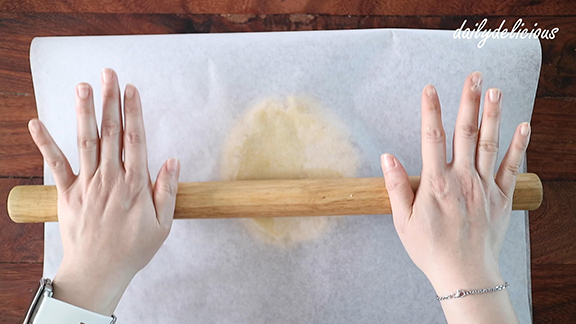 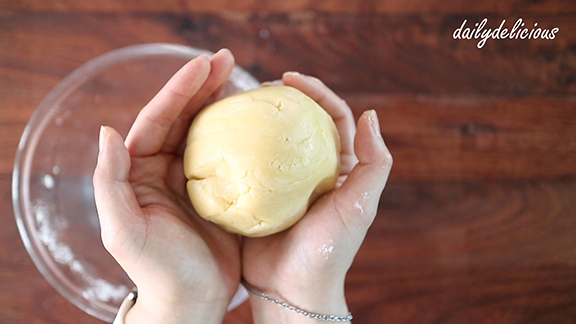 You can re-roll until using all the dough too. The cookie is good for keeping, so rather than making just for other you can keep (a lot of them) for yourself too, haha. 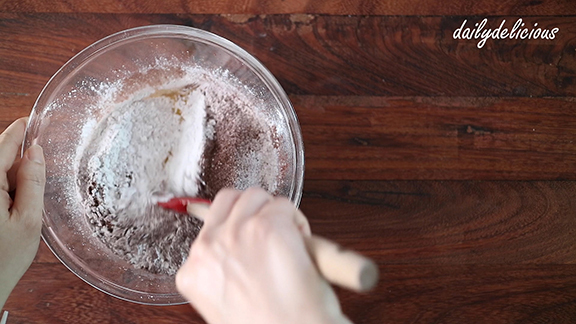 Put melted butter, sugar and vanilla into a bowl and whisk to combine. 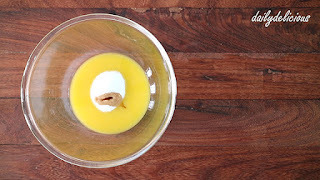 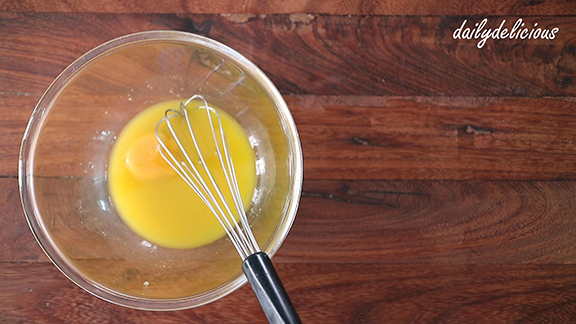 Put the egg yolk into the bowl and whisk to combine. 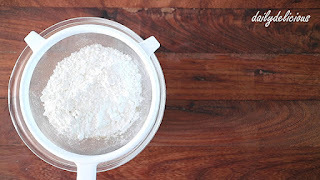 Sift the flour into the bowl, and mix with a spatula until fully moisten. Use your hand to mix until smooth. Place the dough between 2 sheets of baking paper. 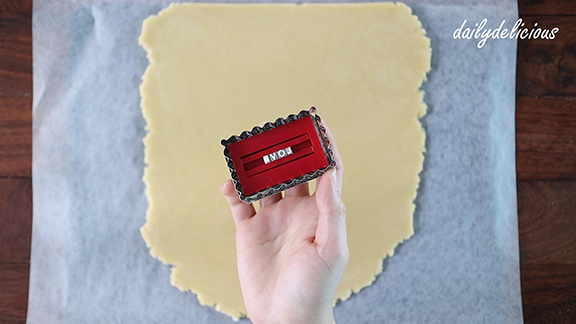 Roll until 3-4 mm thickness. 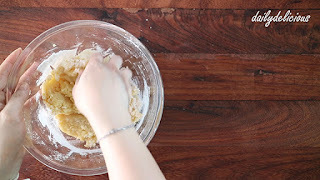 Put melted butter, and sugar into a bowl and whisk to combine. 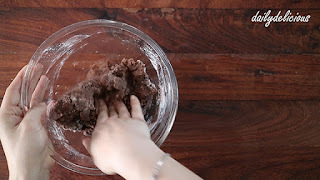 Sift the flour and cocoa powder into the bowl. Mix with a spatula until fully moisten. I use this kind of alphabet stamper ^^. 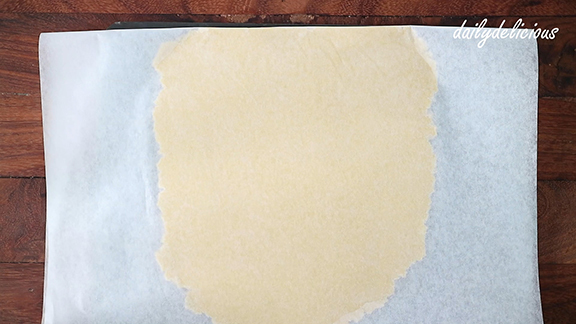 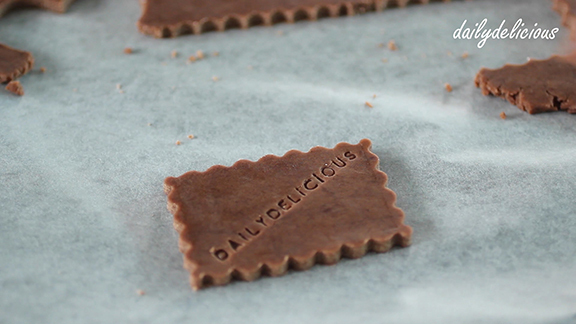 Cut and stamp the cookie dough. Use any kinds of sweet words that you want, hehe. Place them in lined baking sheets. Bake for 13-17 minutes, until golden brown, the time depends on the size of the cookies. Ready to serve! With lot of love.